The Senate Foreign Relations Committee will hold the „long overdue“ discussion on the „executive’s authority to use nuclear weapons and the process for executing that authority,“ on Nov. 14, Corker said. It will be the first time since 1976 that the committee, which Corker currently chairs, or their counterparts in the House, „have looked specifically at the authority and process for using nuclear weapons,“ his statement reads. „A number of members both on and off our committee have raised questions about the authorities of the legislative and executive branches with respect to war making, the use of nuclear weapons, and conducting foreign policy overall,“ Corker said. The president’s use of aggressive rhetoric against North Korea has set off a debate in Congress over the White House’s authority regarding the use of nuclear weapons. Trump warned North Korean dictator Kim Jong Un that the U.S. has „military solutions“ „locked and loaded“ and that the U.S. will bring „fire and fury“ to „totally destroy“ North Korea if it is forced to defend itself. In January, Sen. Edward Markey, D-Mass., and Rep. Ted Lieu, D-Calif., introduced legislation that would bar the president from launching a preemptive nuclear strike, and Democrats have been vocal about the issue after Trump’s recent comments on North Korea. Earlier this month, Corker told NPR „I’ve had other members talk with me a little about it, and we’re doing some research on that topic,“ referriing to legislation that would give Congress greater say over the president’s ability to launch a first nuclear strike. „He concerns me. He would have to concern anyone who cares about our nation,“ Corker told the Times. Pakistan Says It’s Ready to Use Nuclear Weapons—Should India Worry? Asif’s statement about Pakistan’s willingness to use nuclear weapons is in line with Islamabad’s long-standing nuclear doctrine. 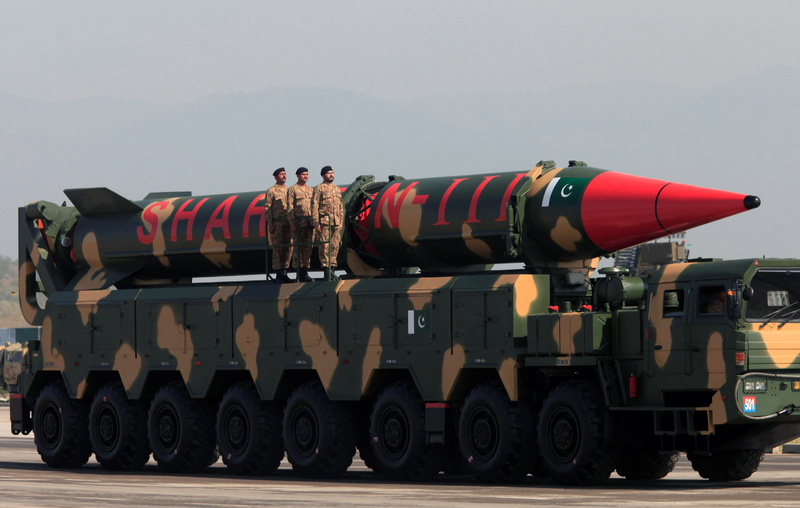 In contrast to India and China, which both maintain no first use nuclear doctrines, Pakistan has always maintained that it could resort to nuclear weapons to blunt a conventional attack from India. If India tries to destabilizing Pakistan politically, including by creating large scale internal subversion. Notably, in his interview this week, Asif seems to suggest that India is doing the fourth scenario by supporting terrorist groups inside Pakistan. Pakistan has backed up its rhetoric by creating an operational nuclear force capable of making good on its threats. For example, when Indian officials began discussing a Cold Start doctrine—in which Indian forces would make quick and limited incursions into Pakistan in response to Islamabad-supported terrorist attacks in India—Pakistan began developing tactical nuclear weapons to thwart such attacks. This article originally appeared in July 2015. With sanctions and rhetoric, President Donald Trump may be pushing North Korea and Iran closer together. On Wednesday, while in Seoul on his Asia tour, three U.S. aircraft carrier strike groups displayed military strength nearby, while Trump gave dire warnings to North Korea’s leader to abandon nuclear weapons. „Do not underestimate us, and do not try us,“ Trump said while addressing the National Assembly. It’s a dangerous game of brinkmanship. In refusing to certify Iranian compliance with the JCPOA — the Joint Comprehensive Plan of Action, otherwise known as the Iran nuclear deal — the Trump administration hopes to keep Iran from becoming another nuclear armed adversary state. The result: a worsening security situation in the Asia-Pacific region and a fresh nuclear crisis in the Middle East, one likely to prompt Saudi Arabia and its regional allies to consider acquiring their own nuclear capabilities in response. Right now Saudi Arabia is party to the Treaty on the Non-Proliferation of Nuclear Weapons. The scenario is neither far-fetched nor far off, says Dr. Jeffrey Lewis, director of the East Asia Nonproliferation Program at the Middlebury Institute of International Studies at Monterey in California. While the opaque nature of the Iranian and North Korean regimes make it difficult for Western analysts to monitor the relationship between them, military ties between the two states go back as far as the 1980s. Iran — then locked in conflict with neighboring Iraq and suffering under an arms embargo — needed missiles. North Korea obliged, supplying Iran with hundreds of Soviet-designed Scud-B and Scud-C ballistic missiles. Iran renamed their new missiles (Shahab-1 and Shahab-2) and used the technology to seed its own ballistic missile research and development. As the two nations pursued their own ballistic missile programs independently, they also shared technical information and know-how. While it remains unclear exactly what was shared, there are two key points on which defense analysts are confident. First, emerging Iranian and North Korean missile systems continue to exhibit similar characteristics (the second stage of North Korea’s alleged intercontinental ballistic missile, for instance, looks a lot like one of the upper stages of an Iranian space launch rocket), suggesting some degree of ongoing cooperation. Second, high-ranking Iranian scientists and military officers have reportedly attended and observed many of North Korea’s missile and nuclear tests over the past two decades, underscoring the two regimes‘ continued military ties. An Iranian woman and her son walk past Shahab-2 (L) and Shahab-3 missiles on display in front of a large portrait of Iran’s Supreme Leader Ayatollah Ali Khamenei in a square in south Tehran. The extent of the relationship and of the technological collaboration that may be taking place remains difficult to quantify. While it’s known that the two states have historically cooperated on the development of ballistic missile technology — and „we think there’s still quite a bit of back-and-forth on the missile side,“ Lewis says — there exists no concrete evidence that their nuclear programs have ever enjoyed the same cozy relationship. However, it’s not out of the question that some exchange of nuclear know-how has occurred in the past or that it may occur in the future — particularly if both states find themselves increasingly isolated. The Trump administration’s decision not to certify Iranian compliance with the JCPOA isn’t just a blow to Iran, which by all accounts has kept up its end of the deal as spelled out in the text of the agreement. North Korea is watching closely to see how the administration’s dealings with Iran over the JCPOA proceed. President Donald Trump sits next to Secretary of State Rex Tillerson during a bilateral meeting with China’s President Xi Jinping (not pictured) at Trump’s Mar-a-Lago estate in Palm Beach, Florida. „North Korea has already learned its lesson in terms of it being very difficult for agreements to last from presidential administration to presidential administration,“ says Jenny Town, assistant director of the US-Korea Institute and managing editor of 38 North. In 2003, for instance, the Agreed Framework — an agreement signed under the Clinton administration in 1994 aimed at freezing North Korea’s nuclear program and normalizing U.S.-North Korean relations — broke down. Each country blamed the other (and both countries shared the blame), but a major takeaway for North Korea and other countries was that the United States can’t maintain such agreements beyond a single presidency. The experiences of other states that entered disarmament agreements with the United States further buttress North Korea’s skepticism, Lewis says. Both Saddam Hussein of Iraq and Muammar Gaddafi of Libya entered into agreements to give up certain kinds of weapons programs, for instance. Neither regime remains, and both leaders are dead. If diplomacy fails in Iran, North Korea will prove that much more reticent to engage in diplomatic negotiations with the United States over its own nuclear and ballistic missile programs. As for Iran, an unraveling of the JCPOA could prompt the Iranian government to reboot its nuclear program. Once that happens, a nuclear-armed Iran is likely much closer than many people think, Lewis says. The country has already demonstrated multiple medium-range ballistic missiles, including a new weapon first demonstrated in September with a range of about 1,200 miles and the ability to carry several warheads, according to an Iranian government announcement. If it were to reconstitute its nuclear program, Iran’s path to a missile-deliverable weapon would be measured in years, not decades. 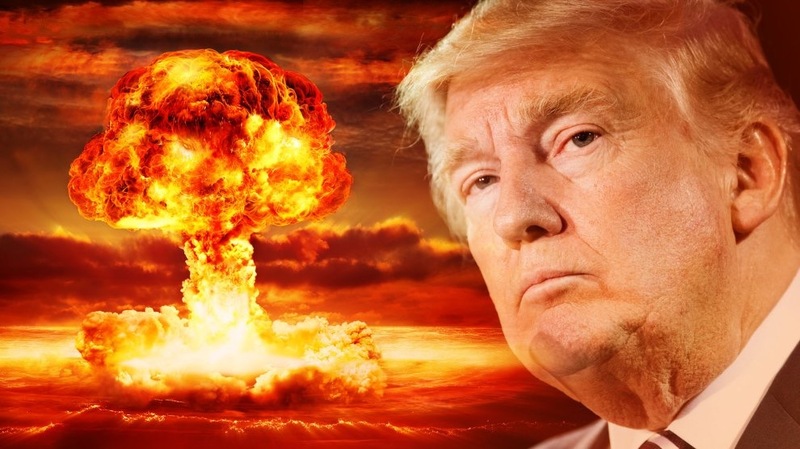 Many critics of Trump’s recent actions on the Iran accord have warned that allowing the agreement to unravel would likely lead to a nuclear-armed Iran — another member of the nuclear club with an unfriendly disposition toward the United States and its interests. But if U.S. action on the JCPOA also drives the United States further from some kind of negotiated, diplomatic solution with North Korea, nuclear weapons technology and ballistic missile capabilities could proliferate further than Iran as the hermit kingdom seeks cash to prop up its regime. North Korean leader Kim Jong Un (C) looks at a metal casing at an undisclosed location an an undated picture released by North Korea’s Korean Central News Agency. North Korea does care about how it is perceived on the international stage, says the U.S.-Korea Institute’s Town. But if the regime finds itself cut off from formal international trade arrangements and short on hard currency reserves—an increasing risk as tightening trade sanctions imposed by the U.S. and China choke off North Korea’s traditional trading relationships—there’s no guarantee that the country’s leadership would not sell weapons or technology in an effort to ensure the regime’s survival. That’s why the United States and others in the international community need to get the North Koreans back to the negotiating table, she says, and fast.